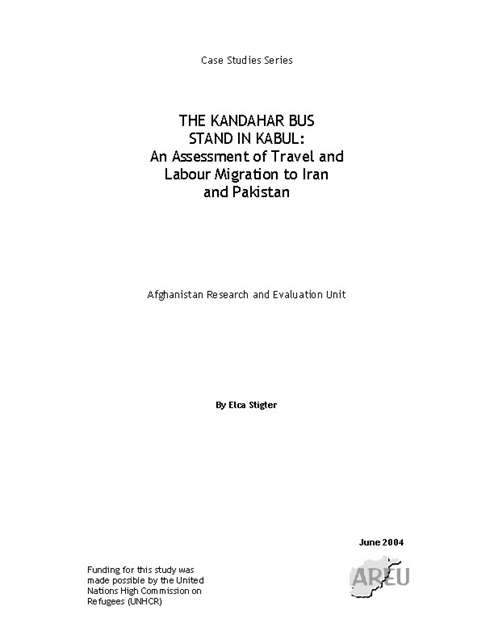 One of a series, this case study examined Afghan refugees living in Mashhad, Iran, and their attitudes toward repatriation. 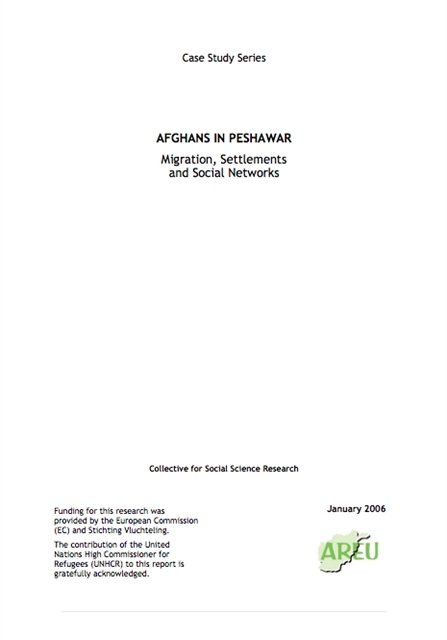 One of a series, this case study examined Afghan refugees living in Zahedan, Iran, and their attitudes toward repatriation. 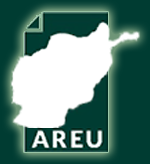 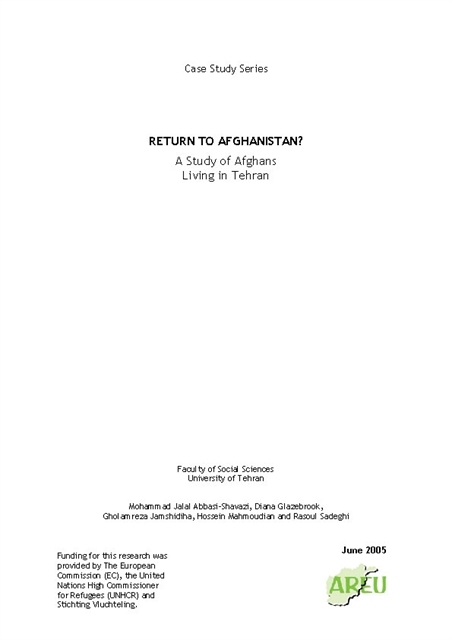 This case study examines perceptions and concerns of Afghans in Tehran, Iran, about the prospect of returning to Afghanistan or remaining in Iran in the medium term. 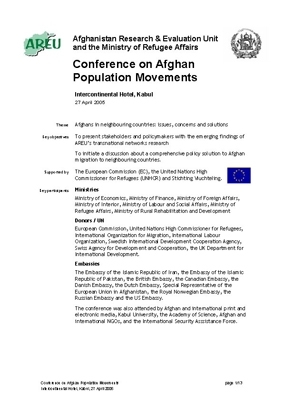 Report of the Conference on Afghan Population Movements, cohosted by the Afghanistan Research and Evaluation Unit and the Ministry of Refugee Affairs at the Intercontinental Hotel, Kabul, on 27 April 2005. 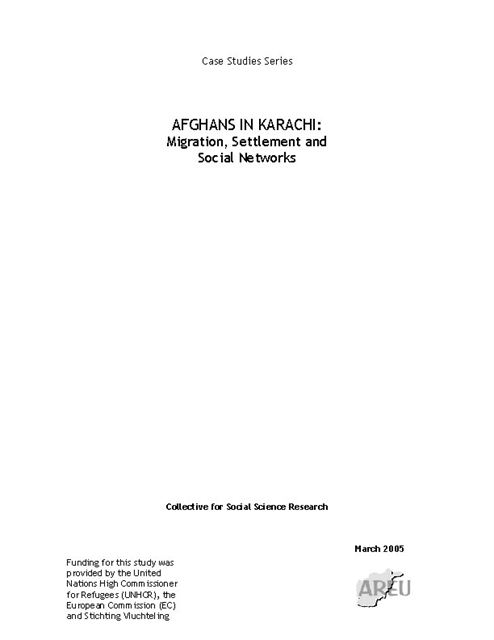 This is a case study of people of Afghan origin residing in Karachi and addresses policy debate concerning migration and mobility between Afghanistan and neighbouring states. 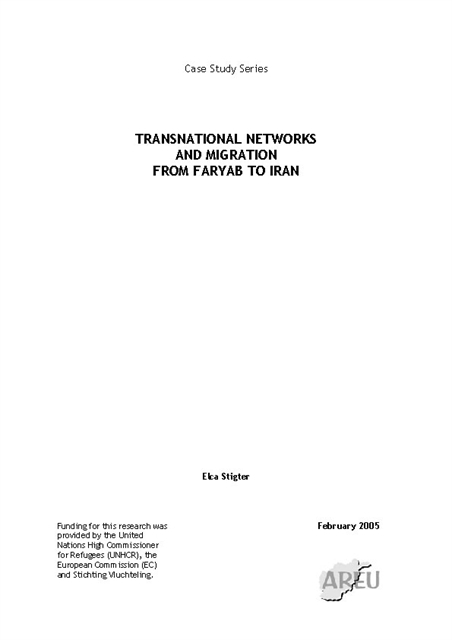 A Faryab to Tehran case study as part of a research project on transnational networks of returning refugees and internally displaced persons. 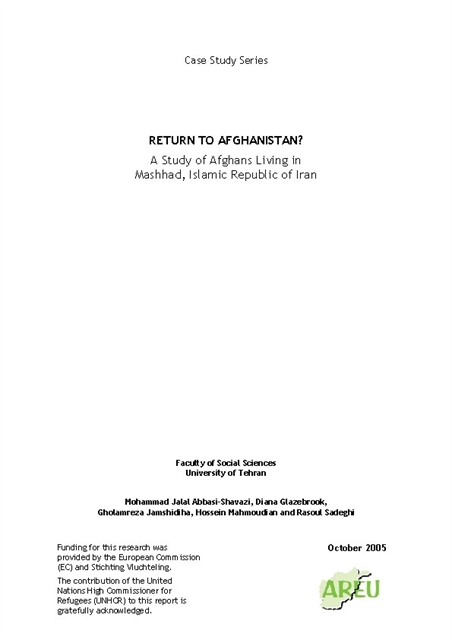 A Herat to Tehran case study as part of a research project on transnational networks of returning refugees and internally displaced persons. 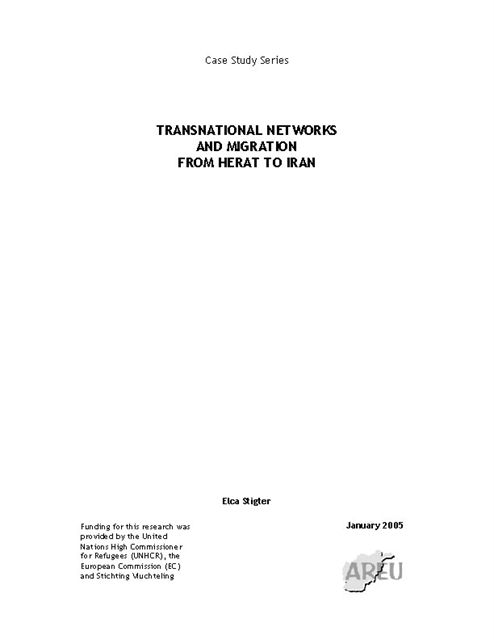 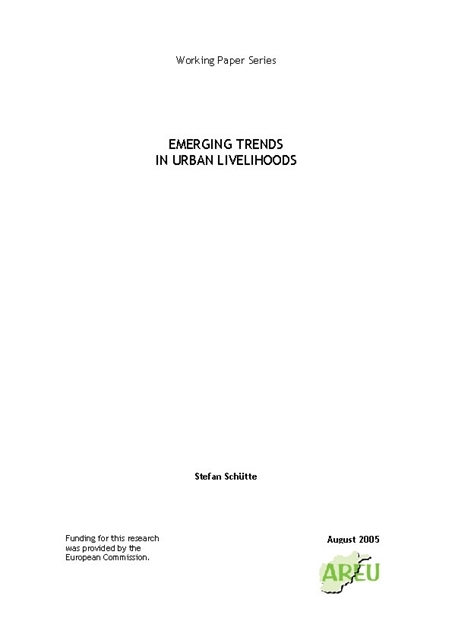 A case study of transnational travellers and the reasons for their migration.